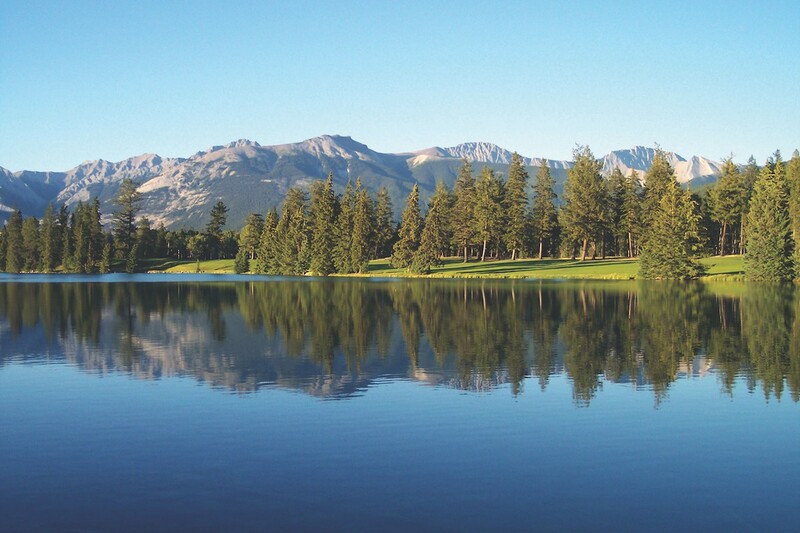 The first of Stanley Thompson’s two alpine classics, the Jasper Park Lodge golf course was built in a large lakeside valley and framed by some of Alberta’s most magnificent mountain ranges. 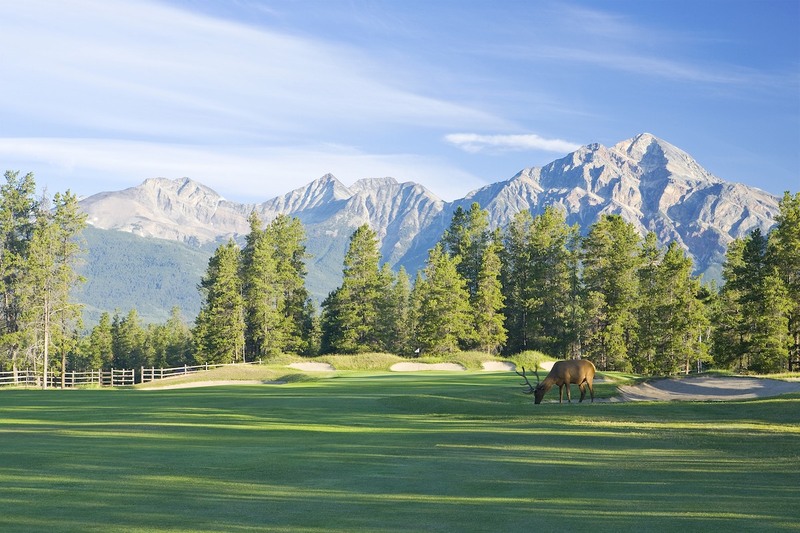 Unlike his Banff Springs site, where the mountains directly overlook the course, here they provide a more distant backdrop, though with peaks soaring up to 11,000 feet the setting is no less impressive. With the densely covered hills and ridges cleared in advance by a large construction team, Thompson was able to make full use of the property’s natural elevation changes, building a great variety of holes to create a true golfing adventure. 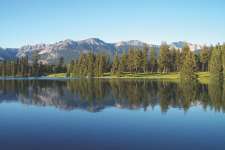 Using Mother Nature’s generous gifts as inspiration, he aligned many holes with the surrounding mountain ranges and even shaped some of his features to mimic their distant peaks. Notoriously, he also left mounding in the shape of a curvaceous woman on the 9th hole following a dispute with the owners, Thompson only agreeing to finish the hole once he had been paid. Labeled Cleopatra, the 9th is but one of five fabulous par threes that includes the long 4th and the wickedly difficult flick wedge 15th, its tiny target sitting atop a small knob and falling harshly on all sides. Miss the green here and you will do very well to limit the damage to a bogey. With the exception of the tumbling 13th, its sunken green hidden beyond a small ridge, the par fives are all reachable but tricky to birdie. The par fours meanwhile are an eclectic mix of styles with better holes including the fine cross-hill 3rd, which bends up into a small basin, and the brutal bunkerless 8th hole that plays through two mounds and against the slope before rising toward a skinny, hillside green. Further highlights include the 14th, which demands a careful lay-up through pine trees and along a lake followed by a short-iron approach into a super small plateau green. The finishing holes are also very strong, particularly the sweeping and dipping 18th, its wonderfully bunkered and contoured green site an appropriately grand finish for such a tremendous course. 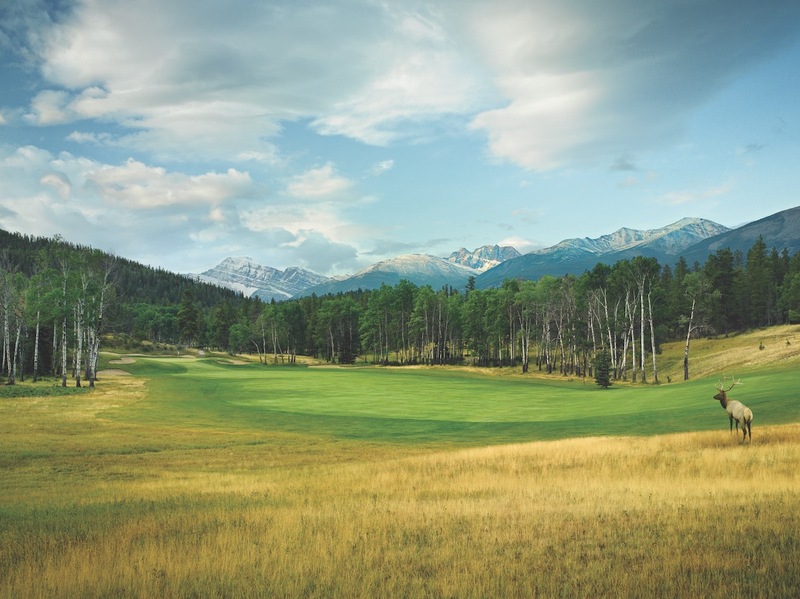 Thompson clearly understood his target market and, like at his other resort courses, built Jasper with more width and forgiveness than at his private clubs. He also left most greens open at the front to allow players of all abilities to handle the test. Despite being of only modest length and set amidst the rarified air of the Rockies, which further shortens holes, the par of 71 here is surprisingly well defended chiefly through a combination of constantly changing elevation and some clever architecture like the tendency to site bunkers back from greens but with flashed up faces to deceive golfers into believing they are greenside. 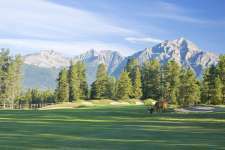 When it opened Jasper Park was an immediate success and its quality prompted the great Dr Alister MacKenzie to declare in 1928 that at Jasper ‘Canada has taken the lead in golf course architecture and produced 18 holes that within the whole scope of my experience and knowledge are not surpassed.’ Although the course has had maintenance issues since, a recent restoration program has successfully reclaimed some of the lost characteristics of Thompson’s original design and ensured that the Jasper layout is once again among the finest few mountain courses in the world.